In this post we will integrate Bootstrap 4 in a Angular 6 project generated using Angular CLI. Now install bootstrap 4 using the following command. Now, add the following line inside src>>styles.css file. Now the bootstrap 4 classes is already to use. Create the components folder inside app folder. Here, we create three components (create,edit,index) by using the following command. 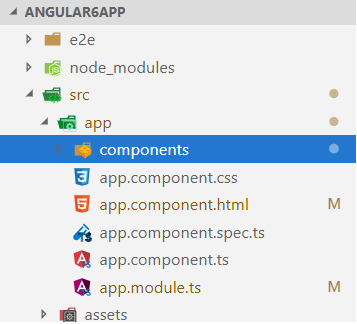 All the components are created inside components folder. The app.module.ts file will be automatically updated also. See detail in the console. In this our application, we create one array called routes and then add the object that contains route path and route component inside app.module.ts file. We can include the inside an app.component.html file. Router-outlet acts as a placeholder that marks the spot in the template where the router should display the components for that outlet. Let’s see the components based on routes as browsing http://localhost:4200/index then you can see “index works!” in the screen. 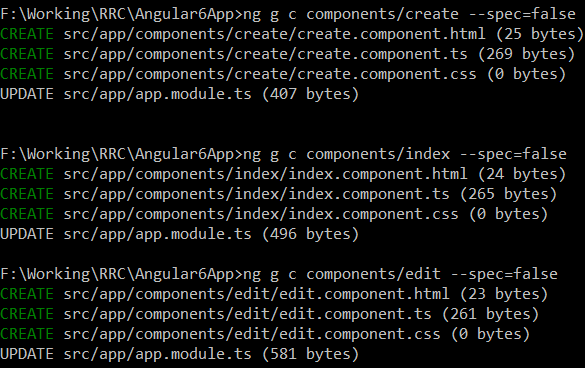 That’s all about the post Create Component Angular 6.